Staff Selection Commision (SSC) Has Recently issued admit card for Computer Proficiency Test - 2016. All Eligible Candidates Can Download Thier Admit Card from official website of Staff Selection Commision. Visit The Official Website of SSC Then Select Your Regional SSC Bord Website, Like Centeral Region , Northern region Etc. Enter Registration ID , Date of Birth and Captcha Code. And Finally Submit Your Detail. Now You Can Download Admit Card. 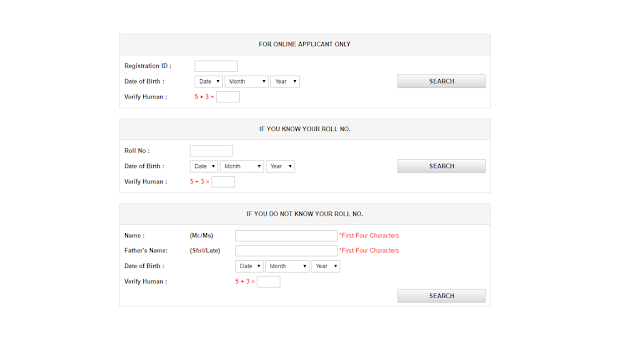 You Can Also Download Your Admit Card With Your Name and DOB Details. OR You Can Download Your Admit Card With Your Roll No.